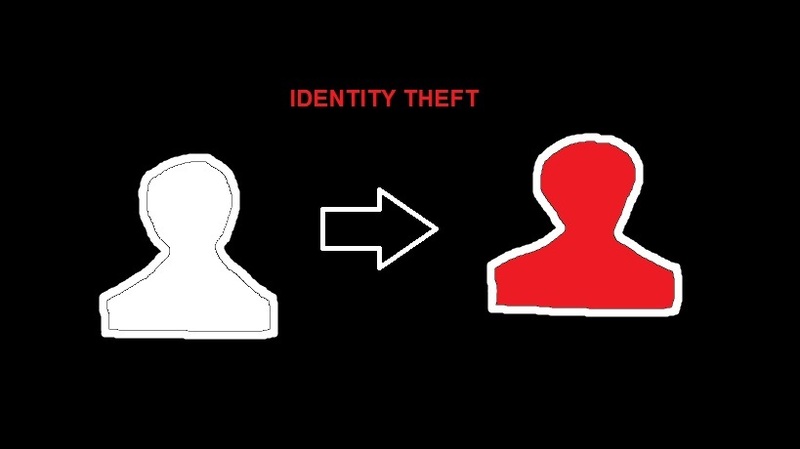 Identity theft is a common occurrence that affects thousands of internet users each year. Sometimes it does not take the evil Penguin character with advanced programming skills to hack into your Gmail Account or online Bank Account. You will be surprised to learn that it only takes a patient character with good research skills and common sense to steal your sensitive info and log into your online account. So how can someone with no programming skills hack into your account? It’s easy for someone to get hold of your personal details if you are a registered user or owner of any blog, social or community site profile. Generally if you have multiple website profiles on the internet you are vulnerable to identity theft. A profile is an online bio or webpage that describes who you are. It contains your personal info that you often enter by completing a form when signing up to use the community site. There is a whole lot of community websites that require you to fill your profile, for example social networking sites,directories,classified ads sites, job sites,freelancer,marketplaces, outsourcing sites,forums,blogging sites and many more. So what can a hacker obtain from your website profile? If your website profile is public (if any online visitor can see it by directly visiting the webpage ) then he or she may get details about you, for example, your country, state, location, college or university you went to and contact details such as email address. It is even much easier to get more information if the person is your friend, workmate or someone you know. The thief can aslo get extra info such as the person’s employer, bank, car license number, street address, doctor and postal address. If the person is from a developed country such as the USA, the cyber-thief will also assume that the person buys online and he or she probably owns a PayPal account.Indeed, most victims of identity theft and internet scams involving money are people from developed countries because they are perceived to be rich by cyber criminals. Let’s say the hacker is trying to break into your bank account. The hacker will simply go to your bank’s login webpage and click the password recovery link. This link comes in many names such as [Forgot Password] [Cant Log In] or [Recover Password].Depending on the security features that the bank website is using, the website may tell you the specific email address that the password recovery link has been sent to e.g. xxxx@gmail.com (That is if you registered with xxxx@gmail.com). The hacker will know that he must break and log into this email address to click the password reset link for your bank account. If the bank website does not reveal the email address where the password reset has been sent to, it will ask you to enter the email address that you registered with. This gives the attacker more work as he will be required to guess your email address.However, you will make it easy for the hacker to get the right address if you are using this email on your online profiles. But an email address alone is useless if you don’t know the password. An identity thief can easily hack into your account if he gets your password but he can also hack into your account if he knows how to get the right information to reset your password. Therefore creating a strong password or changing it regularly is not enough protection. This is where sensitive personal information comes into play because the hacker can use this information to reset your password. When you try to reset a password, you will encounter a security wall. Most websites will ask you to answer questions based on the information you provided. These are security questions designed to thwart an attempted login by an unauthorized person. As an example, one online payment processor asks you to provide only your Date of Birth and Email Address to reset your password. Other websites may require you to provide more information i.e. 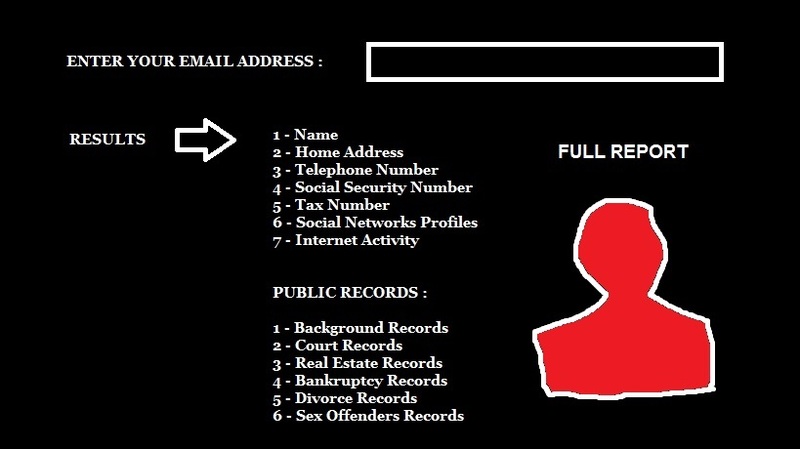 ZIP code, phone number, social security number, passport number, drivers license, tax number, bank account number and so on. Now it’s easy for a hacker to get your Date of Birth by checking public records e.g. court records, divorce records, real estate records, DMV records and background records. These records often contain the person’s date of birth as a rule. A hacker can also get lucky with Facebook or MySpace. There are also plenty of internet services that allow you to obtain someone’s public records just by providing the person’s email address. You will see the person’s name, age, home address, phone number, gender, occupation as well as all the social networking sites that the person belongs to. Once a hacker gets hold of this information, then voila, your online account has been compromised. – Do not use the same email address for all your accounts. Use a different email address for each account so that the hacker cannot break into your other accounts. – Never join a social network or community site that does not give you an option to hide your personal details e.g. DOB, email address, home address etc. – If you have a choice to use a Pseudonym then go for it rather than plastering your real name all over the internet. – Only join reputable social networking websites like Google Plus which ask you to opt in or out of a certain feature. Some sites just set everything to default leaving you to find out for yourself and compromising your privacy in the process. What To Do If You Already Have Your Details Plastered All Over The Internet? If you have multiple profiles containing your personal details on the internet, you should know that they have been indexed by the search engines and probably distributed by scrapping sites or content aggregating sites. You might try to log into each every site and delete or hide your details. Even so, you will not be able to delete content that has been copied by other sites. Since the early days of internet as well as the introduction of free email services such as Yahoo, Hotmail and later on Gmail, there has been an increase in the number of email scams and phishing e-mails. Phishing e-mails are sent by cyber criminals who intend to hack into a person’s account and steal highly confidential information such as your bank account details, credit card PIN number and personal I.D.These criminals will target individuals or organizations who are perceived to be rich or wealthy. Most of the time, they will gather hundreds or thousands of e-mails across the internet using software or application known as an “e-mail harvester”. They will then send phishing e-mails to these e-mails in the hope of tricking some of the recipients and stealing their personal details and sensitive data. So what should you do if you receive a phishing e-mail and how do you identify it? The first step in dealing with phishing e-mails is to delete any suspicious or unusual email that asks you for your personal details or to requires you to fill any forms that should be sent back. Delete any email that you never subscribed to and that is not in your contacts list. Be careful of websites that you subscribe to and find out if they are genuine and trustworthy. Even Gmail and any other free email services are susceptible to abuse by phishers.That’s why it is recommended to upgrade to the paid services if possible, because these have advanced security features. A Gmail phisher or spoofer will ask for your financial or personal data, for example, PIN code, social security number, place of birth, date of birth, maiden name of your mother, bank account number, login details or passwords. We regularly verify accounts for security purposes………………………..
As you can see, the phisher will try to make the e-mail look as genuine as possible by copying the format and wording of Google messages. If you don’t take a second look, you may be fooled into clicking the phishing link. The truth is Gmail or Google never sends emails asking users to update or supply their personal details for account verification.Phishers who are good in web design will also create a web-page that looks like a real Gmail sign up page. You can immediately see a fake Gmail Security Team e-mail – it is often a free email address or an email address that does not belong to Google. The fake sign up page will also have a domain or URL that is not used by Google or Gmail, for example, gmailverify.com,gmailhq.com.Also avoid signing in from naked domains without the www. When a hacker logs into your Gmail account, he/she may send messages from your account to your friends and contacts. If you are too slow to act or have discovered this late, your friends and contacts may also be tricked into revealing their information by the hacker. You should therefore change your password as soon as possible and notify all your contacts that your account has been hacked and if they received any suspicious message they should ignore it – because the hacker may have sent the message. You can check all the sent e-mails by looking at the “Sent Emails” in your account. Your friends might also need to change their passwords. When you receive any spoofing or phishing emails, you should never do what they ask you to do. Do not click the links in the email and do not reply them. Mark the message as spam to stop any future emails from this sender. You can also report the message to Google by clicking the arrow on the right side near “Reply”, then choose “Report Phishing”. Any emails that you receive can be authenticated by Google. This security feature can be accessed by opening the email, then click “Show Details”. You should see two headers below – “mailed by” and “signed by”. The headers should read as “mailed by: gmail.com” and “signed by: gmail.com” if the email has been authenticated by Google.com. For retrieving Gmail emails via Windows Mail, Outlook Express, Thunderbird and Outlook, you have to check for “SPF: pass” and “dkim=pass” These acronyms stand for (Sender Policy Framework) and (DomainKeys Identified Mail) respectively. Just like any other email systems, Gmail is susceptible to attacks by malicious agents – but thanks to Google’s robust security systems, you do not need to worry about your account hacked if you take simple precautions. To protect yourself against the common attacks, you must simply follow Gmail suggestions for e-mail security. You should change your internet surfing behavior and also activate the latest security features that Google updates. The first rule in keeping your Gmail login data and password safe is to keep it a secret. Your login data should not be shared or known by anyone including your trusted friends. If you have other emails besides Gmail, you will notice that some of them have poor spam fighting systems. Gmail is known for having one of the strongest anti-spam systems and that is one reason for its popularity. You will rarely get unsolicited spam e-mail in your inbox because they are sent to the spam folder as soon as they arrive.However, if you do get any suspicious e-mail that asks you to provide your login data, you should ignore the email and mark it as spam by clicking the “Report Spam” button.Gmail, Google or YouTube will never send emails asking for users’ passwords or logins. Another tip to protect your account is to change your login password after a period of time, say every 6 months. When you are changing your Gmail login, you should not repeat the same sequence or codes that you used for the previous passwords. Make a totally new and unique password. Create a password that you can easily remember but it should be strong and not weak. Do not use sequences like 1234… ABCD…4321…or any other formulaic sequence. Your name,surname,street address,city,school,Zip Code, best friend’s name, lover’s name, role models’ names and exact words found in the dictionary should not be used as passwords. These are easy to guess using sophisticated hacking software. To make your Gmail password more secure, you should only use it for that account and not on any other sites on the internet. When you use your password on many websites, it may be hacked/discovered on one of these sites, and when the hacker finds that you have a Gmail account he/she may use it on that account. Besides, other websites may not have the same robust security as Gmail and therefore you will be putting your password at risk of being stolen. Use a combination of numbers and letters when creating a password. Never write down the password in a notebook or store it somewhere on your PC. Do not keep it in your email drafts or on any file sharing websites. Many people tend to do this, but if you do not want to forget your password, you should memorize the first 3 or last 3 codes.Tips for strong password. Make sure that your desktop or laptop is protected with anti-virus or anti-malware software like Norton or Windows Care. Modern browsers like Firefox have protection features that will make your browsing a pleasurable and safe experience. These browsers are always updating their systems for more protection and safety.Hence, it is wise to update your systems or browser if you are asked to do so. This will save you from email attacks that would have been successful if you had an earlier version of a browser or operating system. Most email login problems are caused by problems in our browsers and operating systems, but many also arise from the email server. When you are accessing your email from a public network e.g. in a library or internet cafe, you should make sure that you log out before you leave. Also choose the option (Always Use HTTPS) in the Gmail settings when you are using a public network or computer. This protocol is more secure than HTTP. With the HTTPS protocol setting, your personal data cannot be stolen or hijacked in a public computer or network that is unsecured. To constantly monitor your account against illegal logins, you should check the ‘Last Account Activity’ feature at the bottom of your account dashboard. Click the ‘details’ link and you will see the login activity/history for your account for the past days. There is a table that shows you the IP address from which your Gmail account was logged into, the date/time of the login in your time-zone as well as the platform that was used to log in e.g. browser, POP3 or mobile phone. You can activate an alert for suspicious or strange activity in the “Alert Preference” feature. The first thing to do if you discover that your account has been hacked is to quickly change your password. Regular scans should be done to detect any spyware or malware in your computer system.